New Years Eve tickets are a great alternative for those that either don't have the budget or can't get a large enough group together to justify a private new years eve cruise. Ticketed New Years Eve cruises allow you to spend the night with new and exciting people who like you are out to experience what Sydney Harbour has to offer on New Years Eve. New Years Eve is a magical time of year that is symbolic of leaving the past behind and focussing on your future. 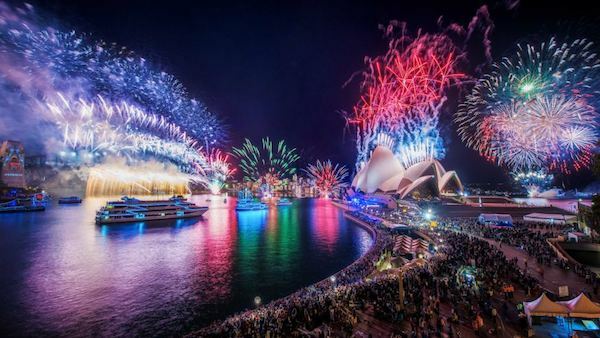 A night spent with loved ones making and breaking resolutions is always special, but if you’re lucky enough to be bringing in the New Year in Sydney, one resolution you won’t want to break is booking New Years Eve cruise tickets on one of AnyBoat's many New Years Cruises. 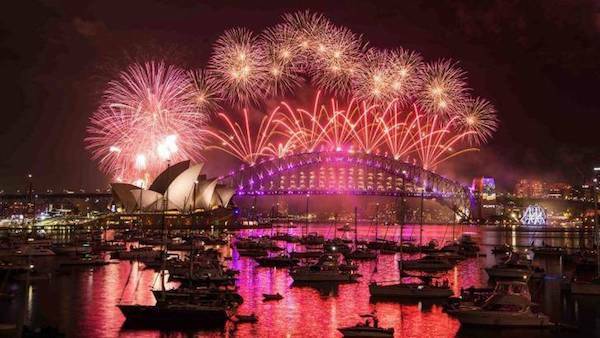 Sydney Harbour has plenty to see and do on New Years Eve, and the atmosphere is just amazing. The harbour is lit up each year by breathtaking displays of millions of dollars worth of fireworks at 9pm and midnight, with a light parade in between and many of our New Years Eve cruise tickets have access to the famous harbour of lights parade. Because there is so much happening in Sydney on New Years Eve things can get pretty crowded around the harbour, with many people camping out all day to secure a good view of the festivities. If you book New Years Eve cruise tickets on the other hand you can walk right onto a boat and spare yourself the wait. The popularity of the Sydney Harbour on New Years Eve has also made it necessary for the number of alcohol free areas on the harbour to be increased. In some areas it is not possible to bring in your own food and drinks, which means you may have to pay marked up prices for them on site. New Years Eve cruise tickets give you the opportunity to be in the middle of all of the action without having to worry about restrictions on alcohol as new years eve cruises take place in private venus namely boats. New Years Eve in Sydney can be expensive, but if you plan ahead and spend your money carefully, it can be worth every cent. Why spend your hard earned cash on overpriced food after camping out all day, when you can buy tickets to new years eve cruises Sydney with food and drinks included? While you’re cruising the harbour on an Anyboat New Years Eve Cruise you’ll literally be right in the middle of the action. Not only will the fireworks be happening right around you, you could be a part of the action of the official Harbour of Light parade. Fireworks are lit from barges along the harbour, which means there is a large viewing area, and the Harbour of Light parade lights up many of the boats on the harbour. Tickets to a night time Sydney New Years Eve cruise are always special, the Opera House, the Harbour Bridge and the city skyline are always a sight to behold. New Years Eve cruises are an excellent, cost effective experience that you’ll always remember. Bring in the New Year with Anyboat.